Shikoto's newest Samuari sword has the traditional and elegant look that you absolutely want to have in your possession. 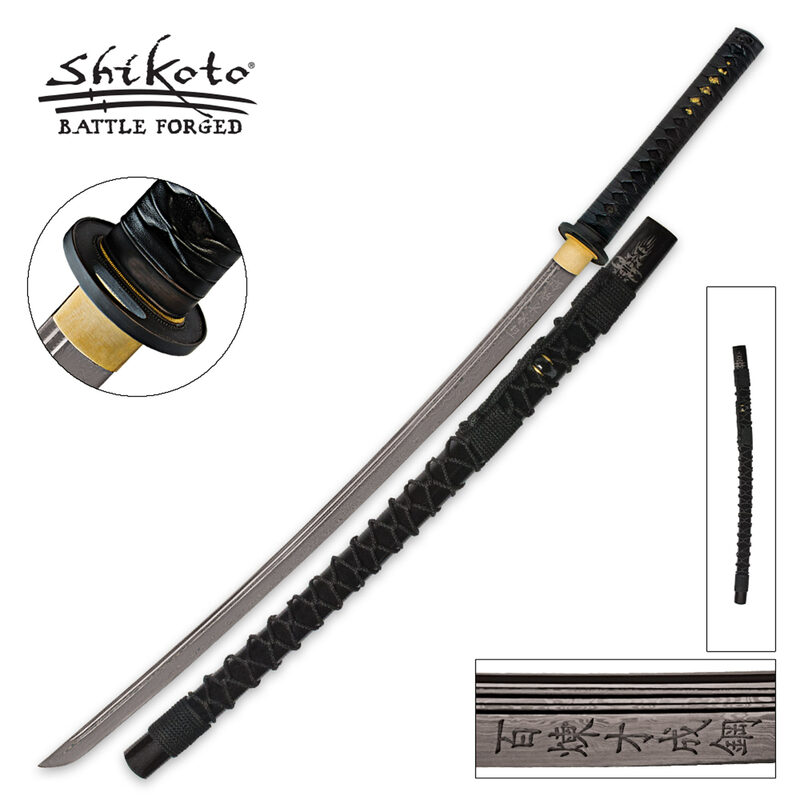 Made of Damascus steel, this katana has a razor-sharp edge and dual fullers. Featured in its beautiful design are a brass habaki and menuki and a cast metal alloy tsuba. The handle is faux ray skin and leather-wrapped. 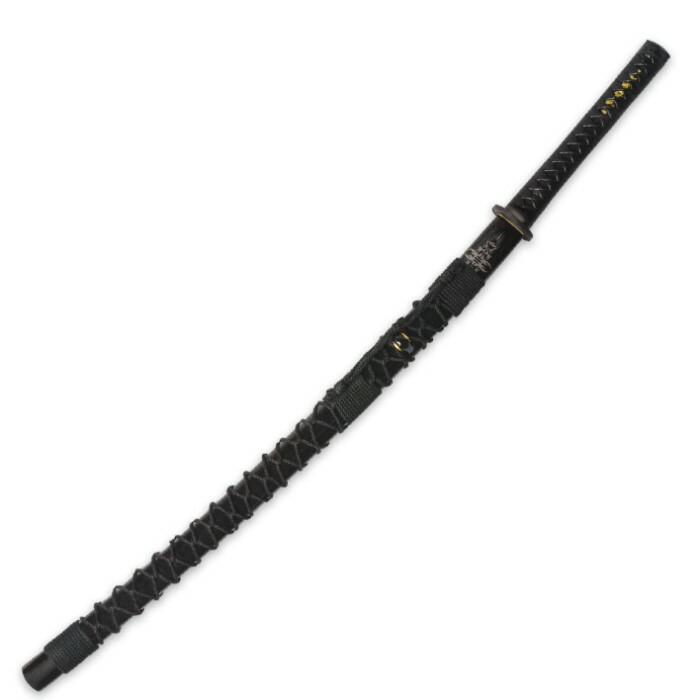 The lacquered, hardwood scabbard completes the sleek, traditional look. 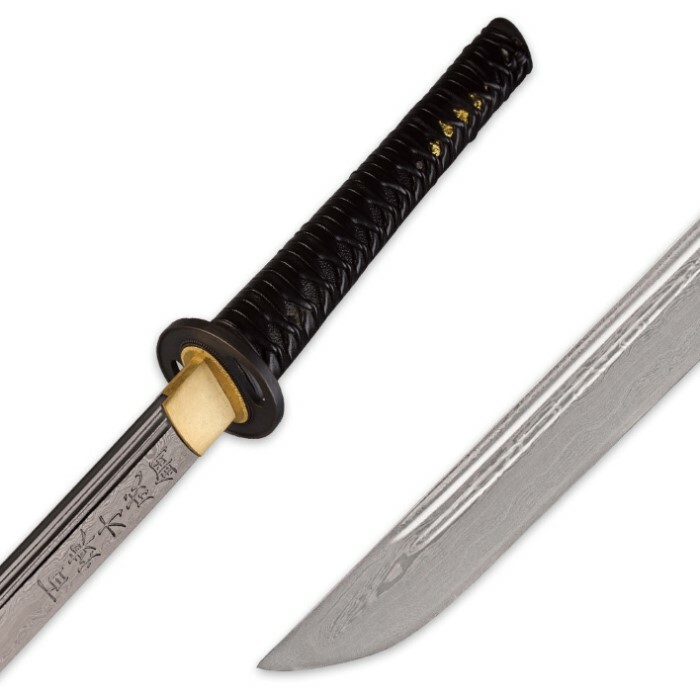 I absolutely love this sword it is surprisingly light and extremely sharp (not sure if razor) but I have no doubt I could easily shave with it if I chose to do so. Blade came wrapped in well oiled plastic and once I had cleaned oil off the blade was a dull grey damascus., with beautiful patterning. I plan to clean again with choji oil then polish with Renaissance micro crystalline wax polish. This stuff does a great job both polishing and protecting your sword investments against rust and all other time debilitating problems, I figure if it is used in museums to protect their swords, it's good enough for mine. I am not a person who chops things up with my swords, but have no doubt this would easily do so with no problem, as it is very sharp! I would most certainly recommend this to add to your collection. I consider it to be a very good buy. If you are riding the fence about this one, just go for it!! !